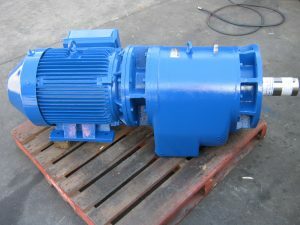 If you have a harsh environment surrounding your gearmotor/gearhead, and would like to organise an Annual, quarterly or monthly service for your gearbox, please call or e-mail us and we can organise this with you. The consistent maintenance of any gearbox can help in the longevity and quality of its life. This service would be operated in the same manner to our Strip & Report method. Send us your gearbox on a set date each quarter, year or month and we will strip your gearbox for a set charge and send a report on our findings back to you with any advisement on your gearhead; as well as photo evidence. We will also quote any parts needing to be replaced or refurbished, along with the bearings, seals, circlips and oil. If you prefer to strip your unit yourself, you can order spare parts direct with us instead. Amiga Engineering also prides itself in providing maintenance manuals to clients on request. 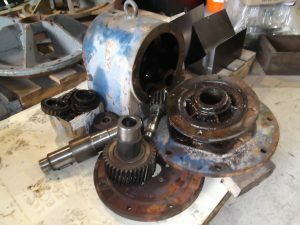 When a Strip down of any gearbox occurs, ALL Bearings, Seals and oil will always need to be replaced. If you would like to discus this further or organise a regular service/maintenance for your Genat & Wood™, Varmec or Tramec gearhead, please call or e-mail us.